A new dirt bike from the Honda is expected to come out in Indian market in 2013. The bike is built to suit both on road and off road riding. 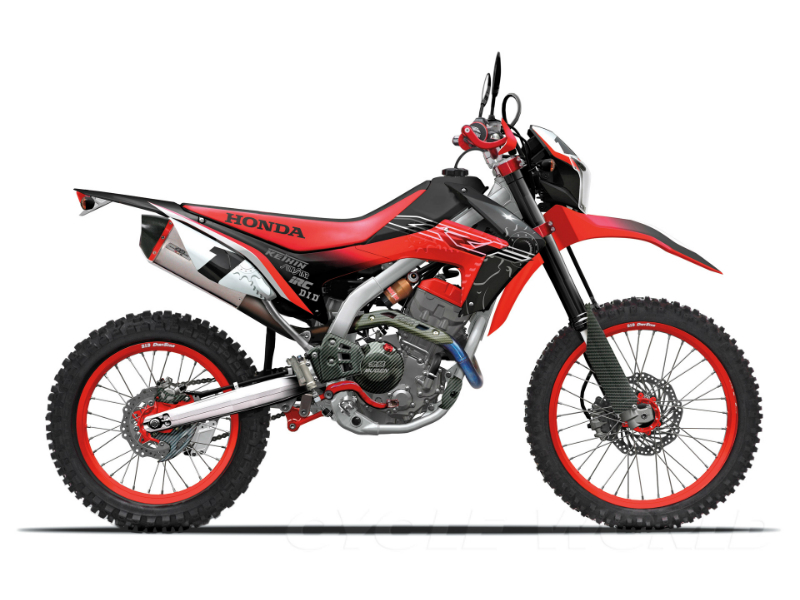 Named as Honda CRF250L, this bike would surely get the attention of those riders who spend time in customizing their bikes to get that motocross appeal. The fact that the bike is coming out in 250cc makes it more interesting because this is one of the segments that has large sales in India. The company has taken care to make this bike in a manner to suit a wide range of riding styles and quality. The engine of this bike has a cylinder where the dia of the bore (76mm) is higher than the stroke length (55mm). This reduces the vibration level in the engine and increases the torque level. The engine uses water for cooling and a DOHC is mounted over it to operate the valves. The cubic capacity of the engine is 249 cc and the highest power developed out of this engine is 23 bhp at 8500 rpm. The torque thrown out of this engine is gradual but helps the bike strike the 100 km/hr mark in a quicker pace. The maximum torque rated on the engine is 22 Nm at 7000 rpm. The engine also has a sophisticated fuel injection system that senses and measures various physical aspects like engine temperature, atmospheric temperature, coolant temperature etc to make the right proportion of charge available in the cylinder block. This improves the performance of engine in all rpms and increases fuel efficiency. The bike is sculpted in a way to couple comfort into the dirt bike appeal and characteristics. The inverted telescopic suspensions with long stroke and the pro link suspension system with an axle of longer travel not only make the bike tall but also give a steady and flat seating position. The tubular frame offers rigidity with low mass and gives better weight balance on vehicle. The under tank cowl on this bike gives the effect of a spoiler and adds to the aesthetic looks of the bike too. The exhaust muffler is raises towards the rear and the tires are slim but are threaded deep to provide better road grip and also add to the rugged nature of this bike. The bike comes with a digital instrument cluster that has a clock, fuel meter and speed and distance indicator. The bike has suspensions at front and rear that give better support and comfort to the riding in both on-road and off-road conditions. The longer wheel base with a slimmer body makes the bike easy to handle and the design of the frame itself makes the bike slimmer and easy to handle. Discs are mounted on front and rear tyres which have piston calipers driven through hydraulic force. The wheels are much larger and slimmer but have tread design that gives higher grip to the bike in wide variety of roads. The handle is well within the reach of the rider to keep the spine of the rider straight. 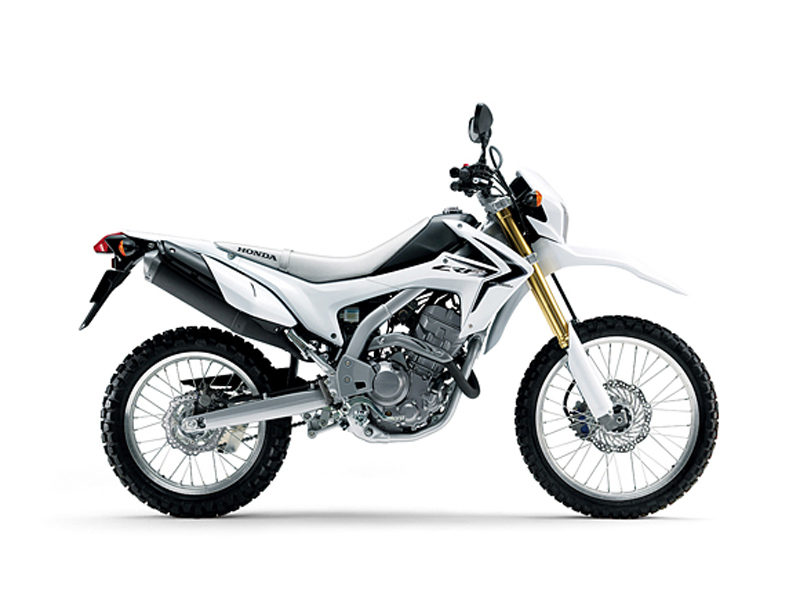 Honda CRF 250L with a slim body and a 250 cc engine may give a mileage of 44 km/lit of fuel in steady riding conditions. 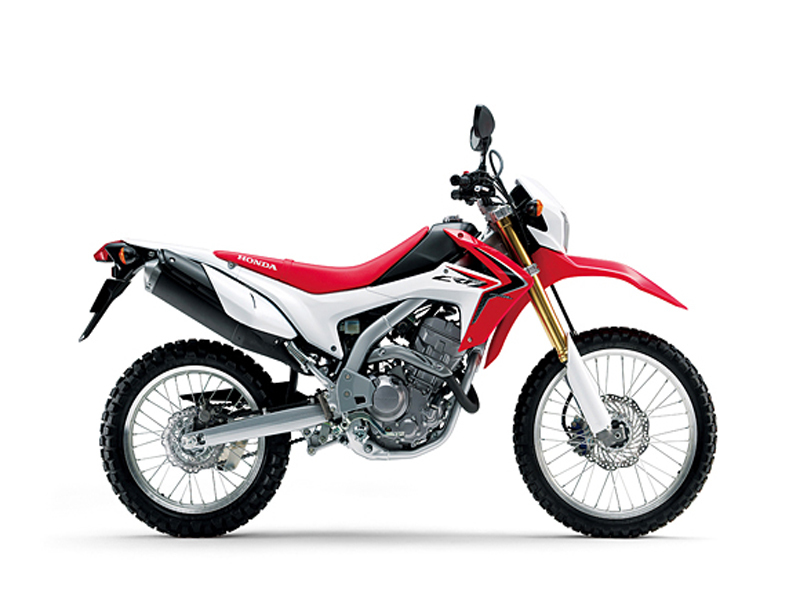 Honda CRF 250L would be available in Extreme Red and Ross White Colors. The Extreme Red color variant has flying mudguard, seat and the tank under cover in red. The Ross White variant has the flying mudguard and the tank under cover in white while the tank remains in black.